To became the king of smartphone market, Chines PC giant, Lenovo confirmed that Lenovo Coco-F with 3D arch glass curved design, Finger Print Scanner and high-resolution front camera coming soon to please the mid-range buyers. 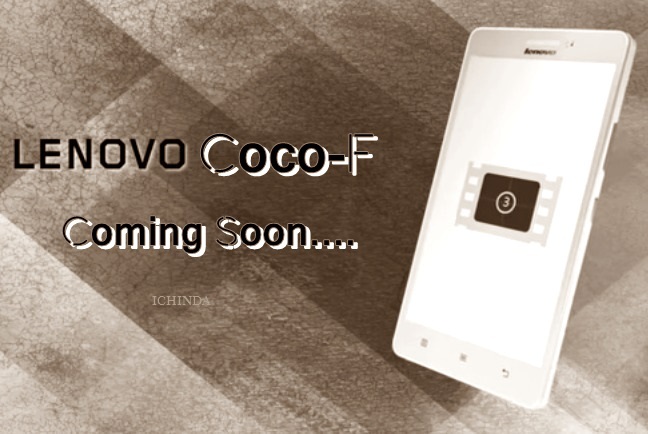 According to rumours, Lenovo Coco-F expected to launch by Q2 priced Approx. Rs 20,000. According to rumours, upcoming, Lenovo Coco-F will support Dual 4G SIM(Micro SIM), 4G LTE, 3G, Wi-Fi, Bluetooth and Finger print scanner will offer you a 5.5-inch qHD (2560×1440 pixels) 3D arch glass curved Display will run on Android 5.0 Lollipop OS powered by a powerful 64-Bit Octa-core SoC with 3GB RAM, 32GB in-built memory with 64GB expandable memory. Lenovo Coco-F will sport a 16-MP Rear camera with Dual-LED flash and Sony CMOS Sensor for shooting and 8-MP front facing camera for clicking selfies packed with a 3500mAh battery. How ever no confirmation of pricing, release date and full specifications so far. At last I would like to say that upcoming Lenovo Coco-F is going to be the game changer for Lenovo. What you think? Please stay tuned for more updates. Tell me about Lenovo k3 note launch date ……..